New technologies shape how we see the future – will they be connected enough to last or will they become outdated by insecure service delivery? 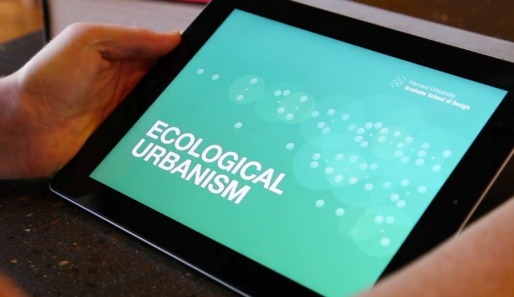 The Ecological Urbanism app adapts content from the GSD’s book of the same name for a tablet. Much more than an ebook, it’s an entirely new way of looking at the information interactively.